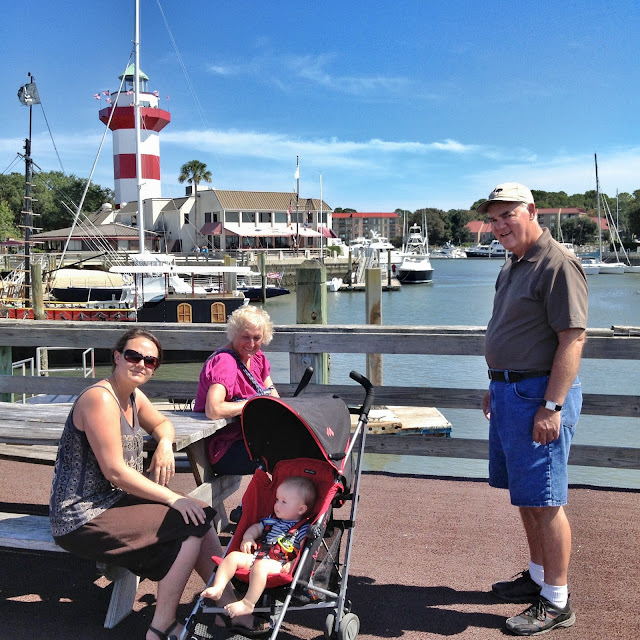 One of our last days on Hilton Head Island was spent in Harbour Town, which is centered around one of the island's marinas. 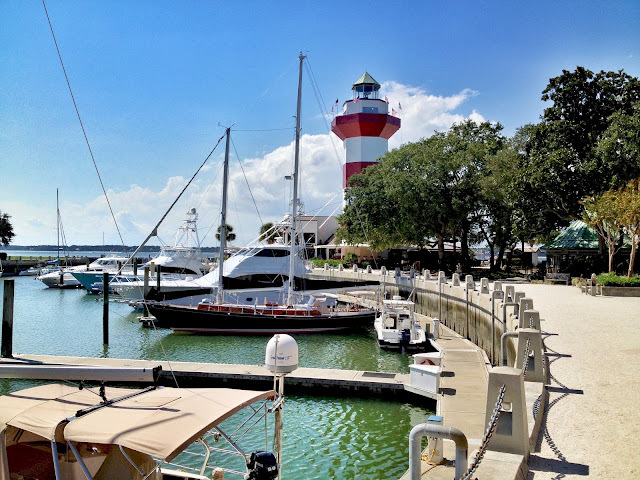 This is where you go to see yachts that you'll never be able to afford. 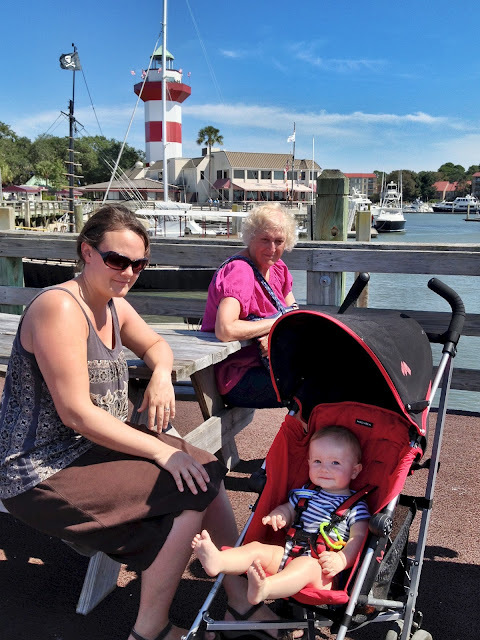 Rowan got to see some Dolphins from the pier. 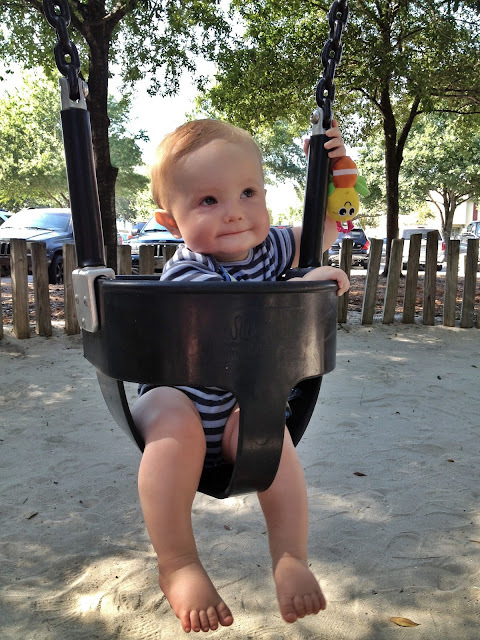 Before leaving he tried out the swings in the play park.